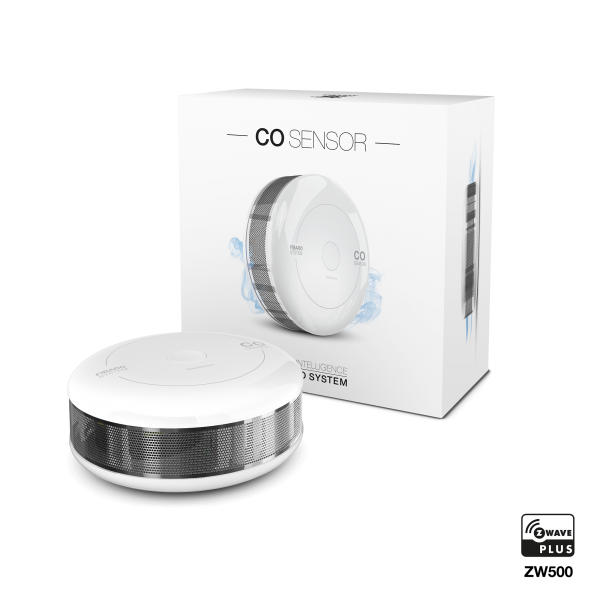 Product information "FIBARO CO Sensor"
The FIBARO CO sensor will make your home safer and prevents danger caused from the ‘silent killer’ carbon monoxide (CO). The sensor detects reliable carbon monoxide in the air and alarms in case of exceeded limits. Its high sensitivity allows to detect the presence of the carbon monoxide (CO) gas at the early stage in order to prevent carbon monoxide poisoning. The device alarms via an integrated siren and blinking LED. Additionally, automatic scenes can be triggered within the Z-Wave gateway and notifications can be sent. Additionally the device is equipped with a temperature sensor. Related links to "FIBARO CO Sensor"